Using the cover picture or picture #6 why are some of them getting droopy like that? It's getting frustrating especially this late into flowering. I’ve got to say you’ve got me a little stumped. Your plants have shown nute burn from a very early stage of growth on through now. But I dont think that’s the only thing that is causing your drooping leaves I believe that is because your low humidity. 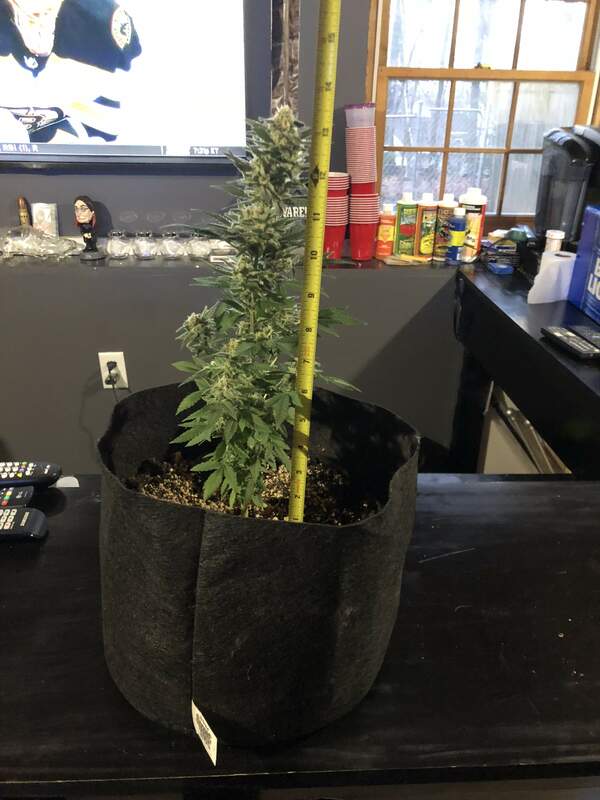 Your plants look to me like they are getting to much mag but the only nutrients that you’ve listed don’t contain any so there are some inconsistencies that aren’t making sense to me. Looks like it had a hard time during one of its rooting phases in early veg. Good salvage, tbh. How is the effect medically? Very interested in "trip reports" on different CBD strains; some are better for some symptoms than others. @Jon_Do, Still got most of it in curing however whatever I smoked after 3 days was very relaxing, not a couch lock but couldn't feel the back pain (2 torn discs) for a while and slept pretty good. No dry mouth, no couch from it, was smooth. The flavor was like seaweed probably cause it was a little wet but the second time had no real taste. @Dirtydraggel, would guess the taste is the chlorophyll. Takes a long time to break it down, shortened by keeping the bud from drying out (iirc, the living plant breaks the chlorophyll down itself, whereas once it dies the process takes longer). Curing is harder than it sounds; some people have better first luck, I'm just now getting my results more consistent several grows in.